Our Social Impact & Research Manager Kat Harrison will be leading an online discussion on the popular Business Fights Poverty network this Thursday 24th October at 3.30pm to talk about just that. 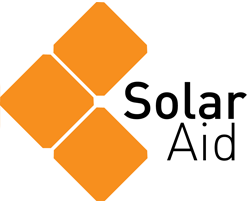 SolarAid were shortlisted for a PEGnet award for Best Practice in Research and we think it’s a topic worth talking about because there’s a lot we need to learn if we’re to achieve our goal of eradicating the kerosene lamp from Africa. It’s doubly interesting for SolarAid because we not only need to prove the impact our work has but also need to learn about the economic environment we’re selling solar lights in. This allows us to understand potential solar light customers so that we can better serve them and reach more people faster. It might seem unusual for a charity to lead market research, but as you know, we are no ordinary charity. Kat will be joined by a panel of experts and will be discussing how both impact and market research can be used to inform and improve the way we do things. You can read more about her opinions here and leave any questions or comments you have on the discussion page. OnThursday 24th get online at 3.30pm to get some answers and express your point of view – we’d love to hear it!